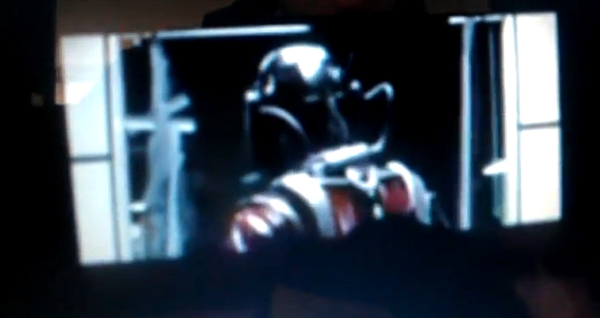 At last year's Comic-Con, director Edgar Wright screened some test footage for his upcoming movie Ant-Man. Unlike most videos, though, he didn't allow the video to be released to the general public. Any websites that uploaded the actual footage quickly got a takedown notice, so there was no reliable source we could link to. But just in case that one gets taken down too, here's a version that one enterprising fellow calling himself Samurai Jack recreated in storyboard format. You can't take this one down, Marvel! Power to the people! What did you think of the test footage? Are you looking forward to Ant-Man? Edgar Wright makes the whole idea of an Ant-Man movie more intriguing than it should be. I'm not familiar with Ant-Man, but this does look interesting. I have to be honest and say I'm not familiar with Ant-Man, but it could definitely be an interesting comic/action flick. I'm always a fan of those. Well, almost always. Agree with Tony! And it appeared he took out the Men in Black. Who would win in a fight, Ant-Man or the Atom? Ant-Man is definitely not one of the higher level superheroes, so I'm surprised they managed to make him look formidable. Cool concept, but I wonder when how the rest of the film's tone will be. Hot Fuzz?